The Washington State University marching band performed the University of Washington fight song Friday at the Apple Cup after the Husky band didn’t make the trip due to a charter bus crash. The Cougar band learned the song after the crash and performed it before the game started. Of the 52 people on board at the time of the crash Thursday night, 39 were taken to local hospitals, according to the Washington State Patrol. The remainder were taken to George Washington Elementary. Two people involved in the crash remain under medical care for non-life threatening injuries, according to UW officials. The charter bus was one of six taking members of the band and spirit squads to Pullman for Apple Cup. 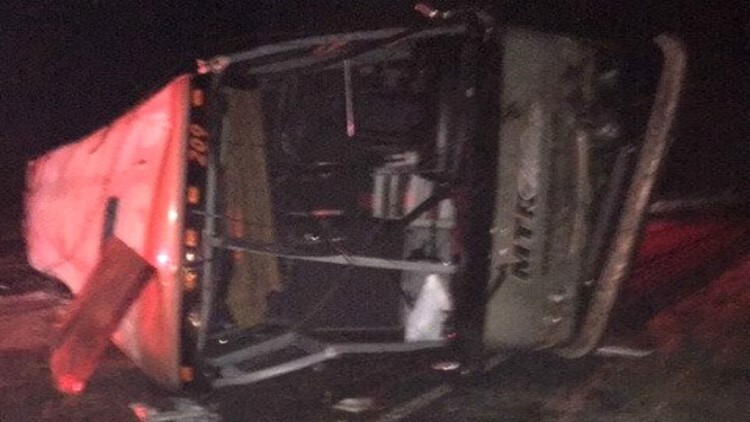 The charter bus rolled over on eastbound Interstate 90 at milepost 143 near George, Wash. 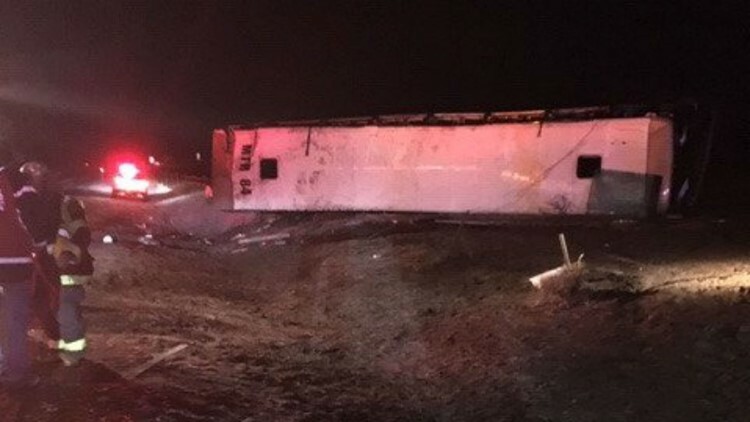 According to the Washington State Patrol, the bus lost control, drove into the ditch on the right shoulder, and rolled.